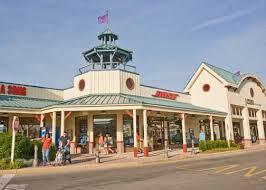 Rehoboths Tanger Outlets provides tax free shopping! different types of homes, and buildings. To the North it extends to Lewes, Dewey Beach to the South, and Milton, Harbeson and Long Neck on the West. There are many new communities being built and developed all over this area. There are still soy bean fields and corn crops being rotated seasonally.It seems they turn into new homes at the same pace. Ryan and N/V homes build more homes than anyone in Sussex County. We have provided a break down of all Rehoboth Real Estate Bayside! West of Route 1. Get your Home listed here for as little as 3% ! New Construction Rehoboth West Of Route 1! The Rehoboth Real Estate Bayside continues to be developed.The further you go west of route 1 the cheaper the land. This gives the home buyer the opportunity to purchase a larger home with less money apportioned to the land.Builders are now offering banks to build spec homes on large tracts of land developers walked from in the Real Estate crisis. Banks now have a developer, and sometimes 2-3 large scale builders in the same community. They Builder only buys the lot once the buyer secures the loan.This method is call The TAKE DOWN METHOD.. meaning the builder buys 1 lot as a spec, and promises to develop a certain number of lots in a set time frame.